eBooks are books in digital format that can be read using devices such as pcs, tablets, e-Readers and smartphones. The main advantage of eBooks is their online availability, users are not dependent on the library opening times, you can access an eBook 24/7, provided you are authorised to do so. The availability of eBooks will be dependent on many different characteristics such as host, publisher, licence agreement, library access model. E-formats will vary, there is no service that can provide all eBooks in the same manner, and GMIT users will notice this with the library's eBook collection. The majority of eBooks at GMIT may be read online, and some can be downloaded by staff and students, using the usual authorisation method of keying your user ID and password. 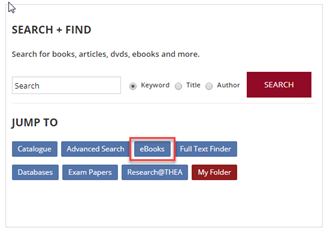 Many of the eBook hosts such as Ebsco, DawsonEra, and Proquest Ebrary will allow GMIT users to create personal accounts with which you login in order to read online or download an eBook. These are some of the eBook Hosts or platforms which you will encounter when searching our eBooks collection. You don't have to specify a particular host when searching but sometimes it helps to be aware of the product names. The general Ebsco Academic collection includes tens of thousands of e-books covering a large selection of multidisciplinary academic subjects. For Business students we have access to the Business eBook collection, which offers thousands of e-books selected to assist students and scholars with various business research, special project and entrepreneurial needs, and to help students understand general business concepts, all with a user-friendly search experience and simple download process. A collection of individually purchased titles based on the subjects taught at GMIT. 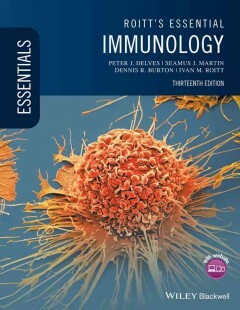 This is a credit model and most titles owned by GMIT Library may be downloaded by students, all titles can be read online. This collection includes some of our most popular titles including Head first java, The larder chef, Essential teaching skills, Event studies, and Traditional construction for a sustainable future. Proquest Ebook Central We have a collection of about 130 titles from this particular aggregator, all available for read online or individual chapter download. Other eBook hosts or platforms include Safari and 123Library. All of the companies above provide eBooks purchased or subscribed by the Library, and available for GMIT students and staff to read online or download. It is easy to recognise eBook titles when they are retrieved in your search results. 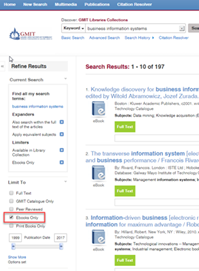 The Library's default search engine Search + Find will enable you to locate only eBooks. Simply key your search terms and choose 'Ebooks Only' from the list of limiters on the left. 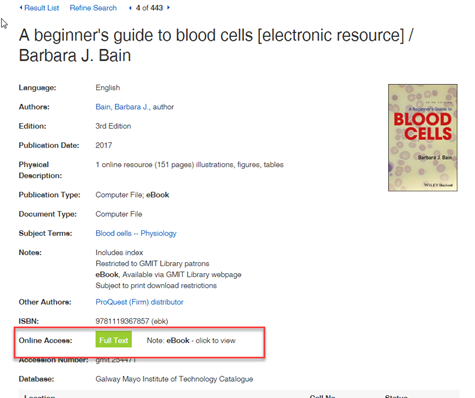 Apart from this LibGuide, GMIT Library has issued a few useful resources on using our eBooks. We have an 'Finding Books and eBooks using Search + Find' YouTube tutorial which you may view any time.